The annual AusBiotech conference, which brings together Australian and international biotech leaders and stakeholders, will return to Brisbane this month, creating a leaders’ forum to reflect on the sector’s achievements and exchange ideas to further advance the sector’s standing both nationally and globally. The AusBiotech 2018 national conference will be held at the Brisbane Convention and Exhibition Centre, 31 October - 2 November 2018, and is proudly sponsored by the Queensland Government's Advance Queensland Initiative. 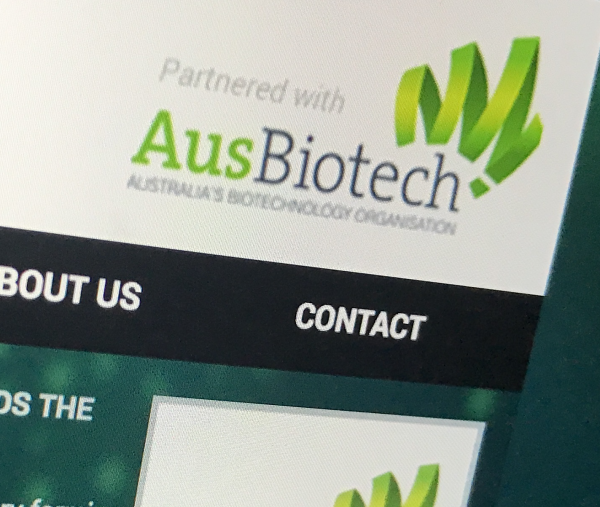 AusBiotech Chief Executive Officer, Lorraine Chiroiu, said: “More than 1,000 delegates are expected to convene at the 2018 conference, which will focus on supporting the development, growth and prosperity of the Australian biotechnology industry. Mr Carroll is a biotech analyst with 38 years of prize-winning experience in journalism. Aside from his daily industry coverage for FierceBiotech, where he was editor 2003-2016, Carroll has been a regular speaker at biotech events around the globe. He’s been quoted by The New York Times, The New Yorker, Financial Times, and more. He’s also keynoted at biotech gatherings around the world and addressed student audiences at MIT and Harvard. Carroll has covered genomics, biotechnology, healthcare and other business topics for American Banker, Managed Care and many other publications. He has contributed stories from Central America and Ireland to the Dallas Morning News and Time and has written for the Houston Press. Carroll spent six years as editor and publisher of the Dallas Business Journal, was publisher of Texas Business, and early in his career was part of a Pulitzer Prize–winning team of reporters and editors at the Kansas City Star & Times. Dr Gittleson is an internationally experienced pharmaceutical physician having worked in the biopharmaceutical industry for over 20 years. She joined CSL in 2005, initially based in Australia where she established a clinical safety and then a clinical development function. From 2010 to 2017 she was based in King of Prussia, Pennsylvania, USA where she was responsible for CSL's clinical development strategy and ultimately all global clinical research. She has overseen the clinical development of both seasonal and pandemic influenza vaccines as well a number of biologics within the rare disease and orphan "space", resulting in global registrations. Additionally, she has experience establishing new R&D groups in Japan and China. Since returning to Melbourne, Australia in 2017 she has assumed the global role of Chief Medical Officer for CSL Limited. In this capacity, she has responsibility for early development and oversees the benefit-risk profile of CSL products across their life cycle. The Millis Oration, once again sponsored by CSL, is named after Emeritus Professor Nancy Millis (1922-2012), the First Lady of biotechnology. A key element of the AusBiotech 2018 conference is a one-day Early Stage Investment Forum featuring 24 presentations from local research institutes, universities, hospitals and pre-series companies in the area of human therapeutics and enabling technologies. The pitches will be made to an expert investor panel that will include international big pharma representatives as well as corporate VCs and early-stage investors. A panel of experts will discuss the latest advances and how novel immunotherapeutic products can be progressed through developmental models and implemented in clinical settings. Now one of the major approaches in the treatment of cancer and autoimmune diseases. Remarkable clinical results with GM cellular therapies (CAR-T) and antibodies against immune checkpoints (CTLA-4, PD-1), have led to successful regulatory approval. The next phase of clinical development will include combination immunotherapies consisting of both cellular & antibody therapeutics. Repairing a paralysed spinal cord has long been considered impossible, but see now innovative technologies are now making this a reality. This session will highlight the demands & needs of the innovation pathway from patient through to advanced digital solutions. · The anatomy of a clinical trials claim, discussing what happens when a clinical trial insurance policy is called upon to respond to a demand for compensation from an injured trial participant. A claim made by a patient suffering serious injury in a clinical trial can have a significant impact on the business sponsoring the trial. Hear from three experts, an insurance company, an insurance broking house & a legal firm. In addition to the programme of quality speakers, the conference will feature the BioIndustry Exhibition Hall and provide valuable networking activities for exhibiting companies and delegates. AusBiotech 2018 will again feature the AusPartnering program, where delegates can request and accept meetings with other delegates via an app. This valuable networking opportunity is one of the exclusive benefits of attending the national conference.